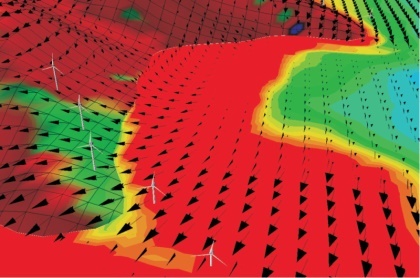 AL-PRO offers computer based wind farm layout optimizations that outperform currently available commercial software. Besides the wind potential differences within the wind farm area and the subsequent wake effects created by turbines, critical parameters such as flow inclination, turbulence and slope angles are considered within the optimization process. Based on the available area, this method determines wind farm layouts that offer an increase of annual energy yield in the range of several percentages in almost all cases, which leads to a noticeable annual plus in your profit. This is site potential that no one wants to give away!